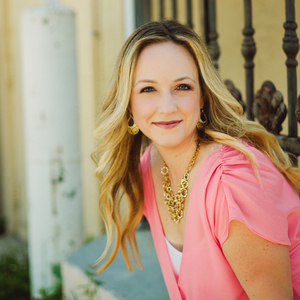 A media lover and Star Trek fan, Melody worked in the production industry before becoming a mom of two. Melody Farrell has hosted 37 Episodes. Tom Cruise had to be in something this year, right? This time it’s a new installment of Mission: Impossible, a franchise beloved by a few of the Screeners. Is the new one up to snuff? Another year, another Star Wars movie. This one, at least, has Harrison Ford....’s character. Does Solo: A Star Wars Story prove itself worthy of such a self-conscious title? Tune in to find out! Oh, and Deadpool's back too (2? ), and it even got Josh to the theater. Steven Spielberg’s Ready Player One is out, and the Screeners couldn’t even wait until opening weekend to talk about it. The Screeners squander their hundredth episode talking about Tomb Raider, since it’s what’s in the theater right now. Maybe they’ll celebrate properly sometime. It’s tough to think of two movies more different from each other than Annihilation and Game Night, but here we are. The Screeners are reviewing both in this double feature episode, and they also have a special contest (with actual prizes!) to announce, so at least that’s worth tuning in for, right? To say that Steven Spielberg’s newest movie has generated some buzz might be an understatement, but the Screeners won’t give him any preferential treatment just because he’s, like, the most successful and respected director of all time and stuff. In a special episode, Daniel is joined by actor Paul Walter Hauser, one of the stars of I, Tonya. They talk about the movie, Tonya Harding, and playing an unconventional real person. Molly’s Game marks Aaron Sorkin’s directorial debut. The Screeners couldn’t resist reviewing it, if only to play the walk-and-talk drinking game. 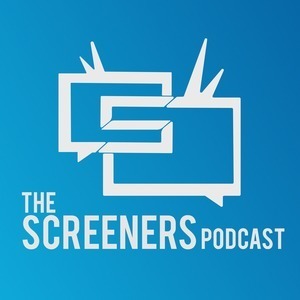 The Screeners review Kenneth Branagh’s reimagining of Murder on the Orient Express and talk about their favorite movies and episodes shot in a single location. A not-so-new release and a streaming phenomenon are on the roster as the Screeners review Only the Brave and season 2 of Stranger Things. Jackie Chan is back, this time in a dramatic role, and David Fincher is back producing another Netflix drama. Are either worth seeing? Ryan Gosling saved jazz, so why not save an 80’s classic too? The Screeners sit down to talk about Blade Runner 2049 and that little bet they made a few months ago. Instead of one big review, the Screeners spend some time talking about what they’ve all been watching on their own time recently. There’s also some big news this episode, but no spoilers here! The Screeners watched The Dark Tower for their fathers’ sakes, even though their fathers never asked them to. The Screeners review Valerian and Atomic Blonde and rank their favorite 80s action movies. The Screeners review War for the Planet of the Apes and talk about their Top 3 escape scenes.